Intensifiers - words which are used to add force to the meaning of verbs, adjectives or other adverbs are called intensifiers. Intensifiers provide greater depth of meaning for the words they describe. 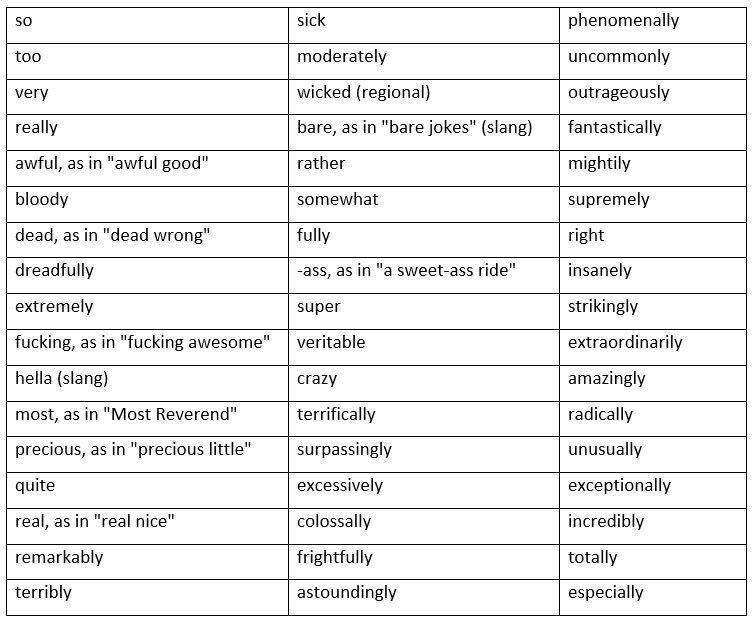 Words that we commonly use as intensifiers include absolutely, completely, extremely, highly, rather, really, so, too, totally, utterly, very and at all.